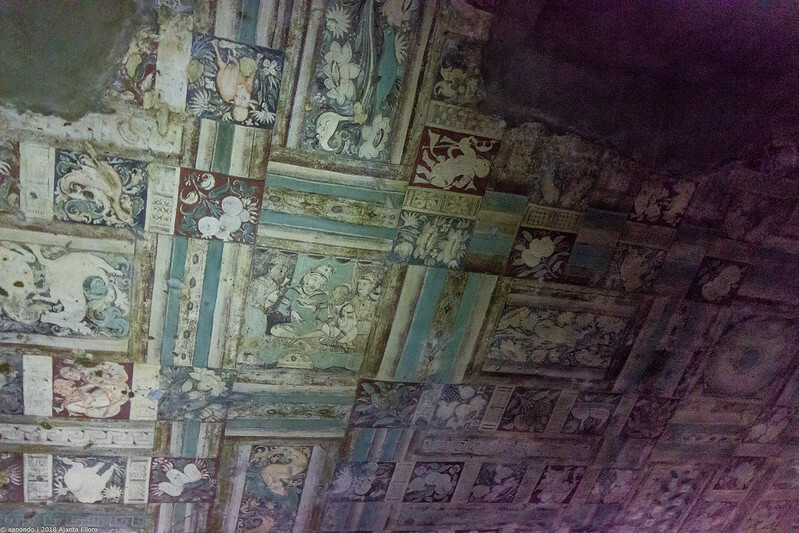 29 rock-cut Buddhist cave monuments which date from the 2nd century BCE to about 480 CE, the Ajanta Caves had paintings on the ceilings with natural dyes many centuries before the Sistine Chapel ceiling was painted by Michelangelo between 1508 and 1512. Notice the hairdos and the skin color of the figures. Gradient / Shaded fills, expressive eye and perfect proportions. The entrance of most caves is shaped like a pipal (sacred fig) tree leaf, for its significance with Buddha attaining enlightenment. Another UNESCO World Heritage Site which can do with some attention towards its visitors. Accessibility is a challenge. They have palinquins (single seater) with 4 people transporting you. You are almost at the ledge, an incorrect footfall could result in tragedy. At places you pass under covered space, where people half my height had to duck to save their skulls. In short, this is worse than the hand-pulled rickshaws of Kolkata, if that can be banned, so should this. It is said that the caves were accidentally “discovered” and brought to the Western attention by a British officer on a tiger hunting party. Sad on both counts, killing tigers and the sad state of how the site is due to uncouth behavior of humans. This is one of the largest rock-cut monastery-temple cave complexes in the world,and a UNESCO World Heritage Site. I have no idea of other UNESCO sites, but this one sure needs help. It is not accessible for folks with walking problems. There are wheelchairs, but then again the path is so bumpy, you’d rather walk if you can. The folks pushing those chairs, suspect. 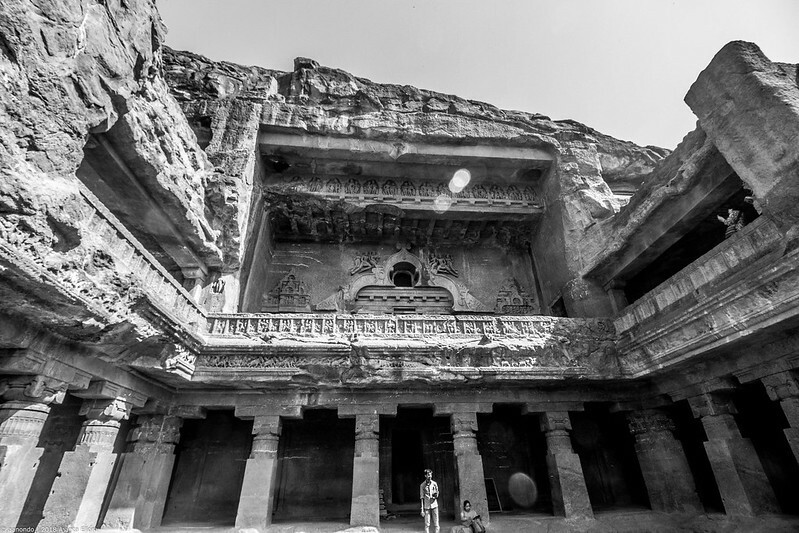 Cave 16, features the largest single monolithic rock excavation in the world, the Kailasha temple, a chariot shaped monument dedicated to Shiva. The caves served as monasteries, temples and a place of rest for pilgrims. Its location on the South Asian trade route made it an important commercial centre in the Deccan region. The Deccan influence is evident in the sculpted lions.